Automating patient medical insurance verification is the best way to keep your patient collections in check. More and more payers are participating to make insurance eligibility available by providing up-to-date information about coverage, deductibles, and copayments. Read this article to find out how you can automate this process to save time and money for your practice. Checking insurance eligibility is an everyday function in the medical practice. It is a tedious process of visiting various websites and/or making multiple phone calls. These websites require logging in with user name and password, then entering patient name, date of birth, policy number to return the verification information. And because of the amount of time needed to do this, it usually happens only once, the first time the patient comes into the office. But, what happens if the insurance coverage changes or terminates? It's a fact that the longer the time between the patient visit and when the statement is sent, the less likely the patient balance will be paid. Timely insurance eligibility verification combined with a well trained receptionist helps the practice get their fees at the best time and that's the time of service. Another problem we see constantly is changes in policy number. Either the first three digits of the policy number change or the entire policy number or group number changes. This causes claim rejections, phone calls to patients, and rebills. It's just easier to know these problems upfront and address them when the patient comes in. Train your receptionist to ask the patient for their insurance card at each and every visit and compare the information to what you have on file. It's a little more work, but it's worth it! Integration within the patient scheduler - The most efficient method of insurance verification is to receive benefit information directly within the patient scheduler or patient ledger in your practice management system. This saves time because it avoids switching screens and entering patient data twice. When integrated in this way, you can easily verify insurance benefits with a click of a button for any patient on your schedule before they are seen in the office. This is our preferred method, and we use TotalMD practice management software integrated with Gateway EDI for many of our billing service clients. Insurance verification by batch - Gateway EDI offers insurance eligibility by batch. This involves running a report in your practice management system of the patients on the schedule for the week. That report is uploaded to Gateway which returns the eligibility for everyone in that batch. Though not as convenient as the integrated method, it does save time on redundant data entry. This is a good choice for Medisoft users who want good support and a lower monthly fee. Many clearinghouses offer insurance verification services directly from their websites. You log in using one user name and password and check benefits for all your insurance carriers. Office Ally offers this service at a very low monthly price. 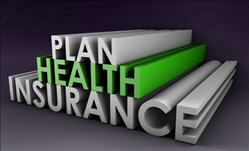 The last method is to check benefits on each insurance carrier's website. As previously stated, the extra time required logging into each website with a user name and password and entering redundant patient information is very tedious indeed. There are many good clearinghouses that handle insurance verification but we like Gateway EDI because it connects directly with a network of payers and they have a la carte services so the monthly fee is low. In addition, the setup is easy and the technical support is good. It isn't the very cheapest but the time saved on redundant data entry more than pays for the service. If you use Medisoft or TotalMD, we will be happy to help you get started. Simply complete the contact form below and we will do the rest. Gateway EDI works with many other medical billing software systems and we will be happy to help you with those as well.